The Bangladesh Under-19 Team will leave for Sri Lanka tomorrow (Saturday) to play two four-day and five Youth ODIs against their Sri Lankan counterpart. The first four-dayer will be held on October 17-20 at NCC while the second and final one-dayer will be held on October 23-26 at Katunayake – MCG. The first and second youth ODI of the five-match series between the two sides will be held on October 30 and November 1 at Dambulla while the remaining three matches of the series will be played on November 3, 6, and 9 at Katunayake. 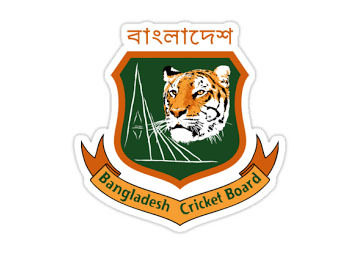 Tawhid Hridoy (captain), Tanzid Hasan Tamim, Sajid Hossan Seam, Mohammad Prantik Nawrose Nabil, Amite Hasan, Shamim Hossain, Akbar Ali, Mahmudul Hasan Joy, Rakibul Hasan, Minhazur Rahman Mohanna, Mohammad Rishad Hossain, Shoriful Islam, Mohammad Mrittunjoy Chowdhury Nipun, Asadullah Hill Galib and Shahin Alam. Standby: Pritom Kumar, Shahadat Hossain, Avishek Das, Tanzim Hasan Sakib,Mehedi Hasan.